Another finished quilt for me, hooray! 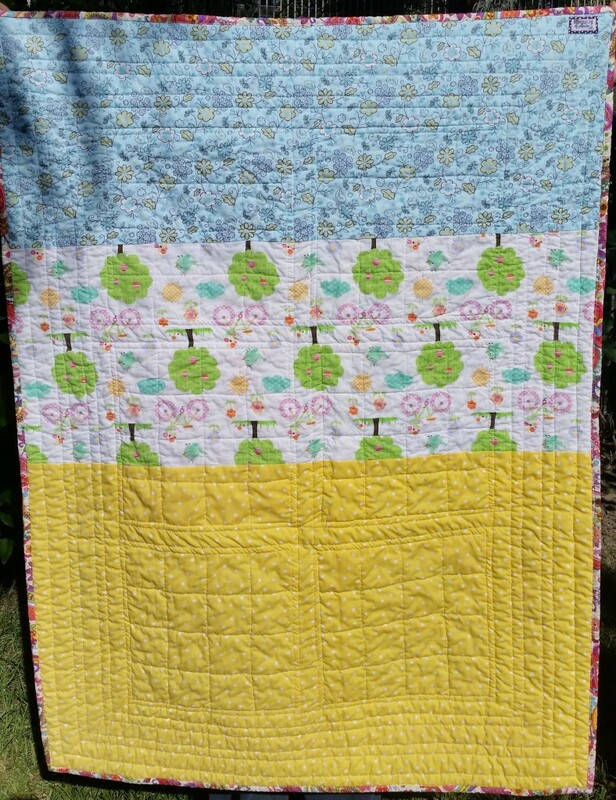 I made this quilt for a friend who just had her first baby, a girl. This was another scraps and stash buster, no new materials bought for this project. I did run out of Kona Snow for the sashing and had to buy more, and found the binding material in the remnants bin while I was at the store. 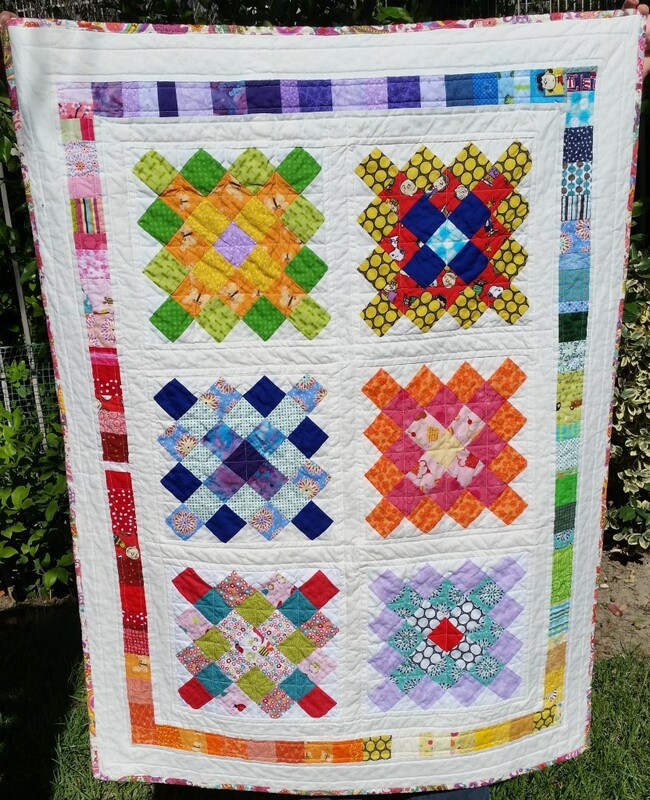 I really like the scrappy border around the outside of the squares. Mommy is not too fond of pink so I tried to restrain myself, which is so hard… I love making pink quilts for girls! Hopefully Mommy and baby both enjoy this one. The front of the quilt. The quilt finishes at 49″x36″. I used straight line stitching on this one.